The BikeBiz Awards return on Wednesday October 6th. This year the categories have been tweaked slightly and the number of awards has been increased, honouring the companies that have had an outstanding 12 months. This is an in-depth guide on how to win a BikeBiz Award, detailing what type of companies are eligible for what kind of awards, the judging criteria and how you can make your opinion heard. When the lobbying process ends, the finalists will be decided and revealed at the end of July. And after that it’ll all be in the hands of at least 50 industry executives who will deliberate, cogitate and hopefully not come to blows as they decide who is deserving of the accolades and pick out their winners. Awards event at Sway Bar, Great Queen Street, London on Wednesday October 6th. support of cycle manufacturer Cube Bikes, Platinum Sponsor, and integrated EPOS and Ecommerce solution provider Citrus-Lime – Event Partner for the 2010 awards. a BikeBiz Award before July 14th. This award is open to any specialist cycle retailer. Entrants for this category must have ten or fewer stores and must not carry out their retail business exclusively over the internet. How is this award won? BikeBizwill take soundings from the industry and consider any direct lobbying from retailers, suppliers or general readers before announcing a set of Finalists on Friday July 30th. How do I make my opinion heard? 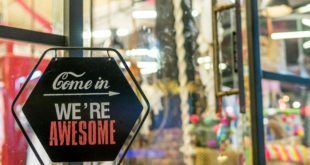 independent retailer simply by emailing their nomination to Jonathon.Harker@intentmedia.co.uk by Wednesday July 14th with a brief summary of why you think the retailer has had an outstanding 12 months. consumers through the online channel exclusively, that has a significant online offering of bicycles and accessories. All BikeBiz readers can put forward a particular online retailer simply by emailing their nomination to Jonathon.Harker@intentmedia.co.uk by Wednesday July 14th with a brief summary of why you think the retailer has had an outstanding 12 months. This award is open to any High Street chain stocking bicycles and/or accessories. Finalists on Friday July 30th. The winner is voted for by the Judging Panel, which will consist of at least 50 industry executives taken from all sectors of the business. Members of the jury vote in confidence and are only revealed after voting is complete. They cannot vote for themselves or associated companies. 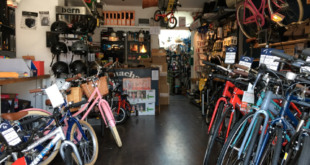 All BikeBiz readers can put forward a High Street chain simply by emailing their nomination to Jonathon.Harker@intentmedia.co.uk by Wednesday July 14th with a brief summary of why you think the chain has had an outstanding 12 months. Any distributor of bicycles active in the trade. BikeBiz will take soundings from the industry and consider any direct lobbying from retailers, suppliers or general readers before announcing a set of Finalists on Friday July 30th. All BikeBiz readers can put forward a particular bike distributor of bikes simply by emailing their nomination to Jonathon.Harker@intentmedia.co.uk by Wednesday July 14th with a brief summary of why you think the bike distributor has had an outstanding 12 months. Any distributor of bicycle parts and accessories active in the trade. All BikeBiz readers can put forward a particular P&A distributor simply by emailing their nomination to Jonathon.Harker@intentmedia.co.uk by Wednesday July 14th with a brief summary of why you think the P&A distributor has had an outstanding 12 months. All BikeBiz readers can put forward a particular consumer magazine simply by emailing their nomination to Jonathon.Harker@intentmedia.co.uk by Wednesday July 14th with a brief summary of why you think the magazine has had an outstanding 12 months. Any consumer-facing bicycle-based media website. All BikeBiz readers can put forward a particular consumer site simply by emailing their nomination to Jonathon.Harker@intentmedia.co.uk by Wednesday July 14th with a brief summary of why you think the site has had an outstanding 12 months. This award is open to any bicycle brand. All BikeBiz readers can put forward a particular bike brand simply by emailing their nomination to Jonathon.Harker@intentmedia.co.uk by Wednesday July 14th with a brief summary of why you think the bike brand has had an outstanding 12 months. This award is open to any bicycle parts and accessories brand. This award is open to any cycle-relevant product launched in the last 12 months. All BikeBiz readers can put forward a particular product simply by emailing their nomination to Jonathon.Harker@intentmedia.co.uk by Wednesday July 14th with a brief summary of why you think the product has had an outstanding 12 months. Any manufacturer or distributor account manager who regularly deals with cycle retailers is eligible for this awards. Cycle retailers can put forward a particular retailer account manager by emailing their nomination to Jonathon.Harker@intentmedia.co.uk by Wednesday July 14th with a brief summary of why you think the account manager has had an outstanding 12 months. Any business from the bicycle industry is eligible. The winner is voted for by the Judging Panel, which will consist of at least 50 industry executives taken from all sectors of the business. Members of the jury vote in confidence and are only revealed after voting is complete. They can’t vote for themselves or associated companies. BikeBiz readers can put forward a particular business by emailing their nomination to Jonathon.Harker@intentmedia.co.uk by Wednesday July 14th with a brief summary of why you think the business manager has had an outstanding 12 months. Next Do you deserve a BikeBiz Award?